Roving Light TravelPhotoBlog: Where and when vs when and where? 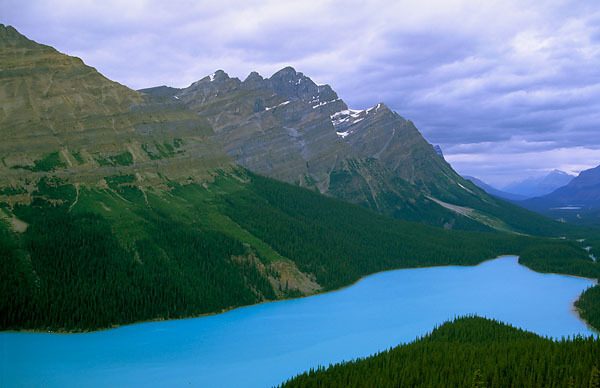 This was taken at Peyto Lake, a well-known attraction in Banff National Park. One of the ways of getting a good travel image is, well, going at the right season! I was a relatively newbie photo enthusiast, but this trip to the Canadian Rockies was right at the best possible season - summer. The light is good, the weather is good, and of course, the scenery is fantastic! So with little effort, you get a really good image. Weather may be unpredictable, but it's about maximising your chances of getting the best! I found out later that there're tons of similar Peyto Lake images out there, since the viewpoint from where I took the shot was right where every tourist go. Nevertheless, seeing a beautiful image that you have shot yourself will enhance your confidence and belief, and would definitely provide motivation for better shots in your next trip.